The NOAA Office of Response and Restoration's Assessment and Restoration Division has developed a series of sampling guidelines for collecting high-priority, time-sensitive, ephemeral data in the Arctic after an oil spill to support Natural Resource Damage Assessment (NRDA) and other oil spill science. We have developed seventeen guidelines for collecting data from environmental media, nearshore habitats and their associated biological communities, and biological resources. 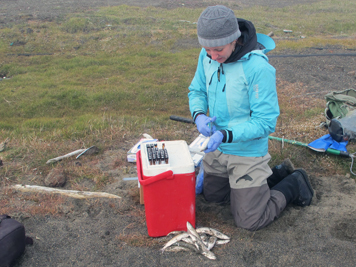 Also within this document, we have updated general guidelines for chain of custody and photography for NRDA and developed recommendations for alternative sampling equipment and methods to address what to do if certain required equipment, facilities, or conditions—such as preservatives for tissue samples—are not available in remote Alaskan Arctic locations. These guidelines are focused, concise, detailed, Arctic-specific, and adaptable. 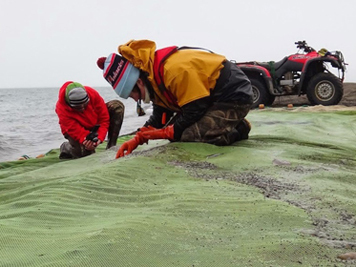 They are intended to be adapted to spill-specific conditions and used by NRDA personnel and other scientists doing baseline data collection or collecting samples for damage assessment and oil spill science, including emergency responders.